There’s no reason to sugar coat this. If you’re running a business and you have not taken the time to plan and protect your business and personal assets, good luck. In the present economic/political climate the small business owner is under direct attack. Ignore this fact and you – and your family - will feel the pain, and it won’t be isolated to your finances. 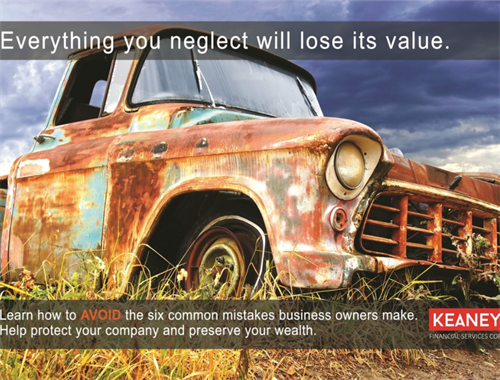 There are common mistakes business owners often make. There are ways to - intelligently legally, and proactively – avoid them but it will take a commitment from you. Initially all you need is 60 minutes. Less time than you spent in the restaurant last week. Much less time than you spent at any school event, party, golf outing, etc. Time can be your best friend or your worst enemy; you choose. So, if your business and family are important to you I urge you to take the time - 60 minutes - to attend my next presentation. Sixty minutes. No sales pitch. Just clear, common sense information. I can assure you it will be time well spent and I have no product brochures or binders for you to carry home and throw in the trash. Few words better characterize today's financial markets than uncertainty. 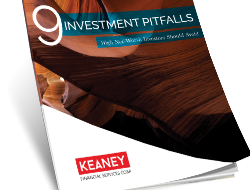 We believe investors need to adjust their expectations in order to adapt to the road ahead. It seems to be the nature of today’s markets to subject investors to price fluctuations and confusing global events that test emotional fortitude at every turn. Experience has taught us that successful investing requires discipline and the patient execution of a long-term strategy, most especially when it is emotionally difficult. At Keaney Financial Services Corp., we strive to create a personalized financial roadmap that may guide you toward your desired destination. We seek to simplify complex financial terms and investment options. We pride ourselves in offering honest advice to help you navigate the complexities of investing and financial strategies. In all we do, our goal is to humbly serve you by nurturing long-term relationships built on trust and performance. 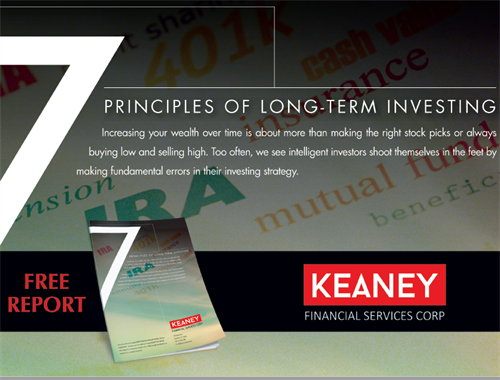 At Keaney Financial Services Corp., we understand the many concerns individuals and families face as they prepare for retirement, whether that is five or fifteen years away. Our goal is to help clients feel confident about their future and pursue their vision of a comfortable retirement. Through our comprehensive approach, we develop customized retirement strategies that address clients’ individual needs and goals, both short and long-term.